The djembe originated in West Africa and is a wooden drum with an untreated skin hide for beating out your blues. They can vary in size from very small (for wee hands) to incredibly large and heavy. Their unique sound is both inspiring and entertaining, a group of djembe drummers can quickly get a crowd moving to their beat. 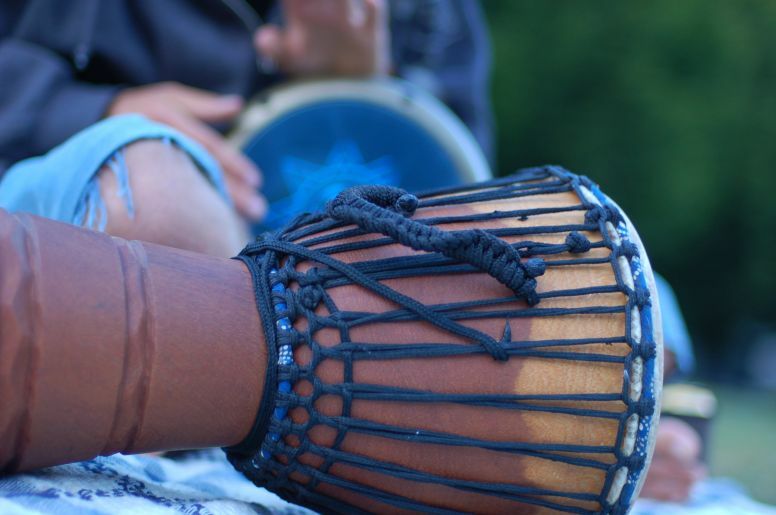 A wide range of tones can be produced from the djembe, from melodic rim hits to deep resounding deep notes in the middle of the drum. 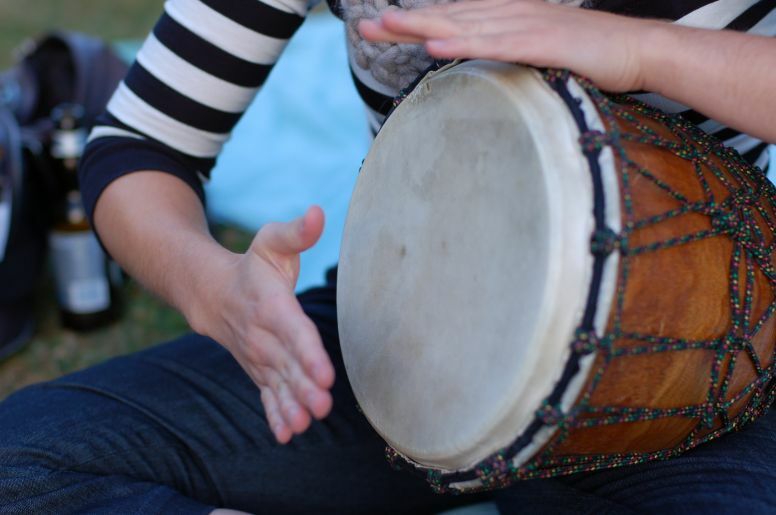 The main notes of the djembe are bass, tone and slap, but more advanced players can create many more. The slap is the highest sound, the tone is more solid and the bass lives up to its name as the lowest of the three sounds. This is part of the appeal for many drummers and provides a diverse and musical sound when several drummers have gathered for a jam session. 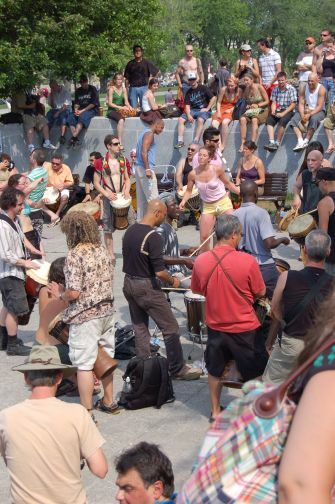 One of the most famous western djembe jams happens every Sunday in Montreal, Canada. Hundreds of people gather at Mont Royal, in the heart of the city, to drum away to their heart's content. On top of this huge crowds of people venture to the base of the mountain just to watch the sweating and enthusiastic drummers at work, to dance the afternoon away to the melodic, entrancing sounds or simply to people watch and relax with the throbbing background music as their entertainment. Djembes can vary in price from quite cheap ($50) to very expensive, with the more expensive obviously producing much richer and rounded sounds. 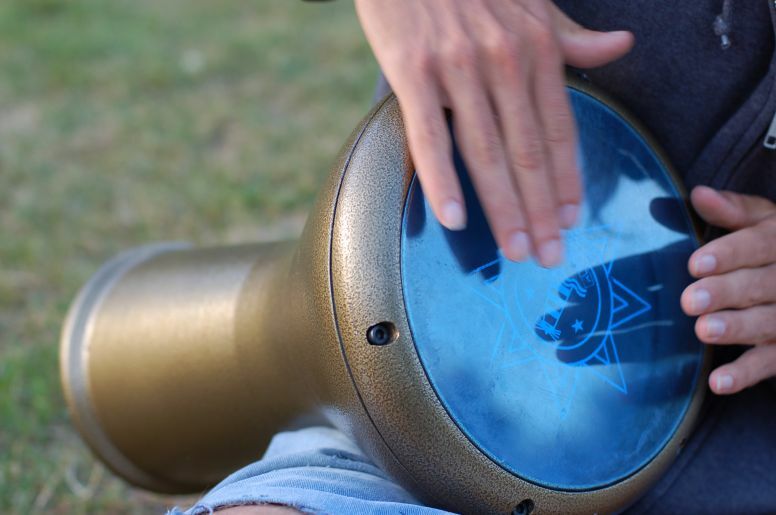 Grabbing a few djembes and a couple of friends and heading to a local park can be a wonderful way to spend a lazy afternoon. How to cure the blues in a cold Vancouver day.